Pushing off from Boathouse Row on the Schuylkill River in nine-seat racing shells (above), two dozen University of Pennsylvania Summer Undergraduate Minority Research (SUMR) scholars became the first to row their way into the summer-long health services research training program started 19 years ago by the Leonard Davis Institute of Health Economics (LDI). Designed as an icebreaker and bonding experience, the waterborne adventure called "Team Champion" was managed by Team Concepts, Inc., an executive leadership and team building development firm headed by former Olympic oarsman and World rowing champion Daniel Lyons. 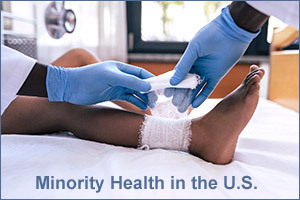 Sponsored by LDI and the Wharton School Health Care Management Department, the SUMR program provides underrepresented minority undergraduate students, or other interested students, a chance to explore the field of health services research (HSR) by becoming part of it for three months. The program consists of classroom curriculum led by top HSR professors as well as SUMR scholars' direct participation in research projects mentored by Penn professors. The SUMR scholars' "Team Challenge" day on the Schuylkill began in the meeting room of the Bachelor Barge Club as Lyons (above, left) explained the challengingly complex nine-man shell rowing system and the exacting teamwork it takes to operate it effectively. Listening intently are (above, right) SUMR Scholars Chidinma Wilson of Oakwood University; Mohamed Abdirisak of Indiana University; Christine Olagun-Samuel of Penn; Ayomide Ojebuoboh of Boston University; Grace Nie of Penn; and Tania Calle of Williams College. Randomly assigned to one of four teams, the SUMR scholars in each group were charged with creating a team name, a team motto and a team goal all expressed on a poster. Above, left, calling themselves the "Roarers" with the team motto of "Row Oar Die," are (red shirt, l to r) Mohamed Abdirisak, Nahnsan Guseh of Syracuse University, Grace Nie, Sergio Chairez of the University of California, Irvine, Amanda Carrillo-Perez of Swarthmore College, and Tania Calle. Watching behind them is SUMR program Director Joanne Levy. Above, right, is the team's poster, drawn by Carrillo-Perez. Leaving classroom instructions behind, the Scholars proceed to the third floor of the Barge Club (above, left) to begin their training on Olympic rowing machines as Lyon emphasizes the most important movements. The competing teams were outfitted in team colors: royal blue, white, maroon and light blue. Outside on the dock (above, right) Barge Club members prepare four nine-man shells emblazoned with the Drexel University logo (because the Barge Club is the home of Drexel's row teams). In nine-seat shells, rowers each have one oar, their seats slide forward and backward and their feet at anchored in special rubber shoes connected to the boat. Getting some last minute instructions as they board (above, left) are SUMR royal blue team members Eric Shan of Penn, Francesco DeMayo of Penn, and William Jackson of the University of Kentucky. Above, right, the SUMR light blue team is cast off and urged by the Drexel coxswain to quickly head away from the barrier ropes that are the point of no return before going over the dam. Rowing are (l to r) Mohamed Abdirisak, Nahnsan Guseh, Amanda Carrillo-Perez, Tania Calle, Grace Nie, Sergio Chairez and two experienced Barge Club oarswomen. Making the turn in the wake of the SUMR light blue team, the SUMR maroon team (above, left) also heads upriver. Manning the oars are (l to r) two experienced Drexel oarsman and Fatoumata Barry of Spelman College, Zara Wermers of Tufts University, Tolu Omole of Arizona State University, Audrey Fretzin of Penn, Gabrielle Posner a SUMR intern, and Ayomide Ojebuoboh. Above, right, capturing the panoramic grandeur of day, is this view from mid-river looking back at the Philadelphia Art Museum and the center city skyline. Up river along Fairmount Park's Kelly Drive, the SUMR shell fleet approaches the Pennsylvania Railroad and Girard Avenue bridges that are major landmarks along the section of river that has served as a sports rowing venue for more than 150 years. Along with shells and sculls (the former is a large craft in which rowers pull a single oar; the latter is a smaller craft in which rowers pull both oars) the boathouses maintain fleets of motor launches used by coaches during training and racing judges during official meets. One accompanies the SUMR maroon team (above, left). Enjoying her floating photography perch (above, right), LDI photographer and Multimedia Manager Megan Pellegrino-Zubricky shoots away. After several hours of getting the hang of tightly synchronized rowing, the four SUMR crew boats line up at the "Spirit of Enterprise" sculpture (above, left) and then are off on their 500 meter race. The winner was the SUMR white team that took a victory lap (above, right) past the northern-most boathouse, The Sedgeley Club. That boathouse is attached to the Turtle Rock Lighthouse that was built in 1887 to warn river traffic of the dam and falls ahead. Rowing their way back to the Bachelor Barge Club after a challenging day on the water are SUMR maroon team members Ayomide Ojbuoboh and Gabrielle Posner (above, left). Back along the central part of Boathouse Row, the SUMR white team is shadowed by a motor launch (above, right) carrying SUMR program Director, Joanne Levy. [In the background, with a red peaked roof, is the University of Pennsylvania's boathouse, which was not involved in the day's SUMR events]. The "Team Champion" challenge ended with an awards ceremony of gold, silver and bronze medals (above, left) back in the meeting room of the Bachelor Barge Club. Displaying their medals on the balcony of the Club are SUMR white team members (l to r) Manuel Alcala of Penn, Tim Wang of Penn, Alec Hilton of Washington University in St. Louis, Risha Sheni of Cornell University, Chidinma Wilson, and Janiece Strange of Morgan State University.